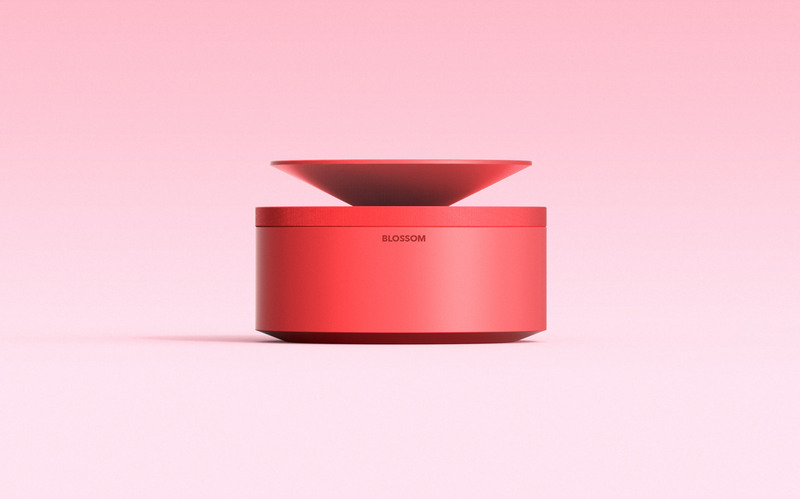 Floral-Inspired Portable 360-Audio Dispersing Bluetooth Speaker. Combining functionality and aesthetics into a single design language. 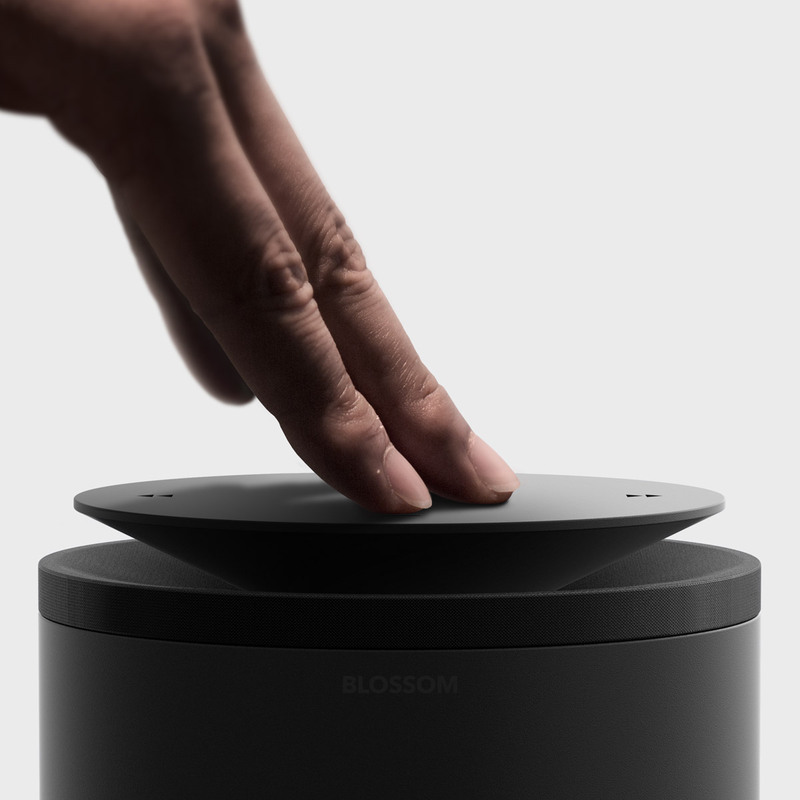 Blossom’s is made of finely textured plastics in matte finishing that is lightweight and warm to the touch. 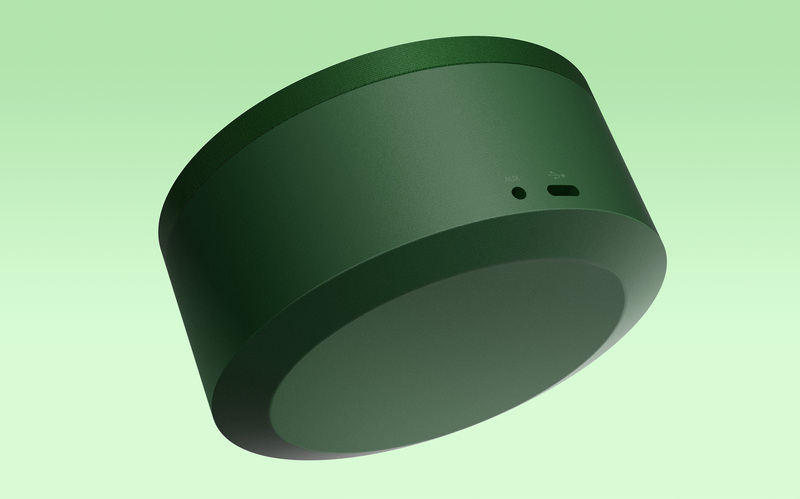 The audio-dispersing cone can be nested into the main cylinder body for portability, while also serving as a protective shell for the delicate speaker cloth cover. The cone’s movement also acts as the power switch. The cover itself is a flexible spandex material that joins the product's two main geometries together, while giving the surreal illusion of the cone balancing itself at the smallest point. The cloth stretches and retains a cleanly wrapped form as the cone moves along a rail mechanism.